Living in New York City for all my life, I’ve been relatively sheltered from anti-Semitism. However, the recent tragic and hateful shooting of 11 innocent Jews in Pittsburgh served as a wake-up call for me. I learned of the shooting through a news alert on my phone, and was immediately flooded with outrage. I didn’t know how to process the shooting and instantly had questions. It was almost as if I had forgotten that anti-Semitism didn’t end after the Holocaust. I’ve gone to Horace Mann since I was three. Our enrollment is largely Jewish, and I live in a predominantly Jewish neighborhood, where I can find five different temples within a mile radius. However, Jewish kids all over the country do not get to experience the same comfort and security I do living in such a largely Jewish community. 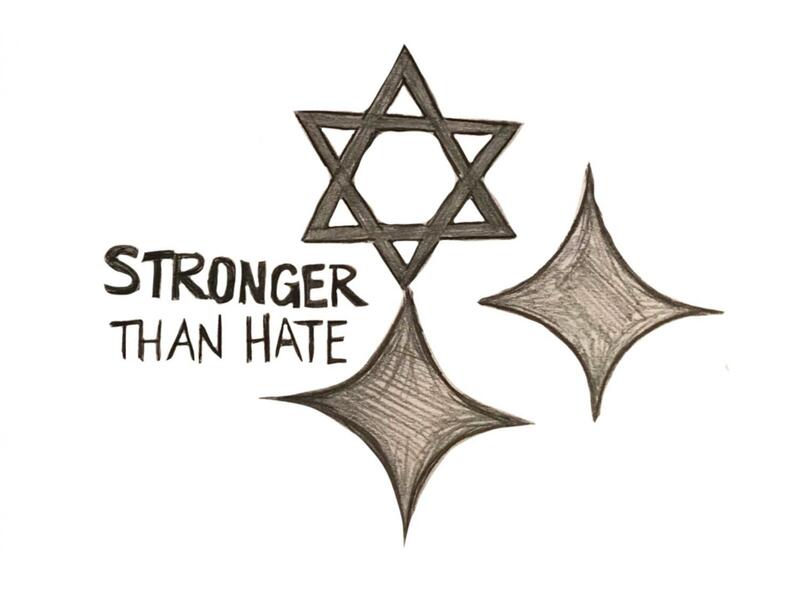 Throughout other parts of the United States, Jews face the type of rampant anti-Semitism that fueled the tensions leading up to this shooting. I’ve been protected from that living in New York. Before the shooting, I had only ever experienced anti-Semitism once. When I was 11 or 12, my temple received bomb threats. At such a young age, I could not comprehend how someone would want to hurt my community or any other community. Although that was the first act of anti-Semitism I experienced, I had grown up with stories of the Holocaust and anti-Semitism my great-grandparents faced as Jewish immigrants. My Hebrew school lessons centered on how we, as a Jewish people, must never let anything like these events happen again. My heritage made the Pittsburgh shooting personal. Intellectually, I understood the ugly history of anti-Semitism, but I had never understood the true depth of senseless hate that motivates anti-Semites. The community at Tree of Life Synagogue was just like mine. A family from my temple once belonged to Tree of Life. My mom’s friend knew the victims. Before, she felt safe, and now that sense of safety has been ripped from her community just as it was taken from mine – for no reason other than pure hatred for my people. To me, this is not just another shooting. This could of have happened at my temple. I cannot say that I know how to put a stop to the hatred that exists in our world, but I can say that we cannot accept this attack or others. When we normalize this hatred, violent, evil people win. We as a community, as the generation of future leaders of our country, must not accept such hateful violence. What I do know is, in America, in 2018, I should not feel scared to walk into my temple and pray. It is our responsibility to put a stop to these heinous, useless killings. Every life lost to hate is one life too many.